Very faithful reconstruction of a balaclava with visor, so-called. 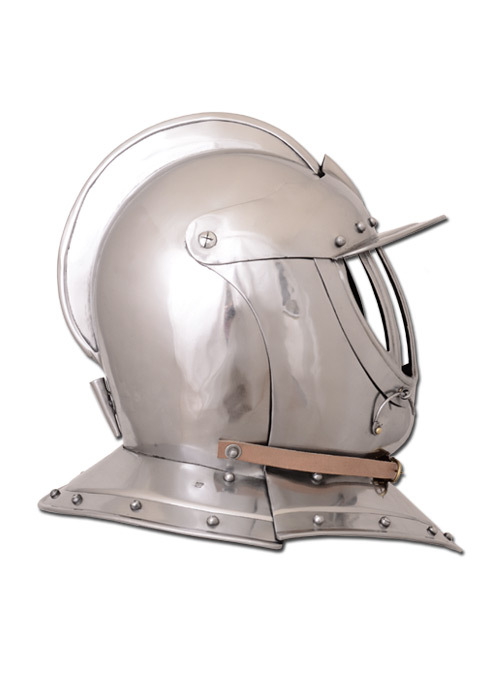 Burgonet 17th century. 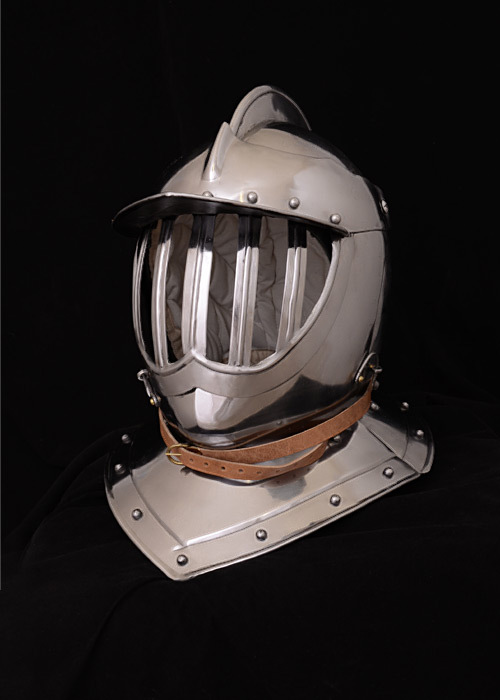 The original of this helmet is the Royal Armouries in Leeds, northern England. 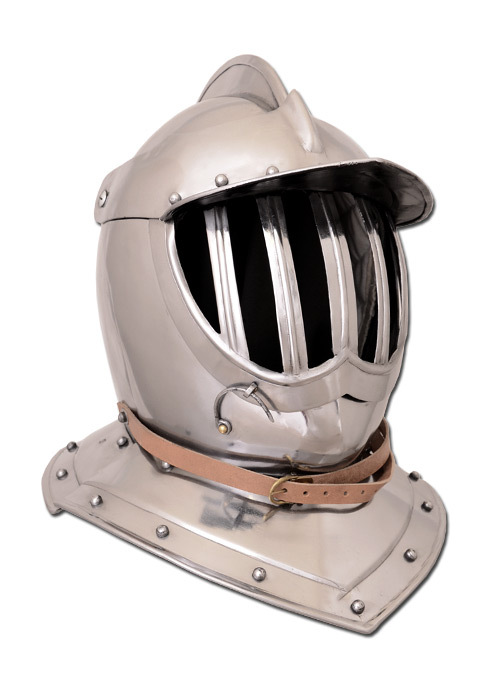 The helmet and visor are driven from 1.6mm steel and is closed in front with a leather strap with authentic brass buckle. The visor is locked by means of forged hooks. 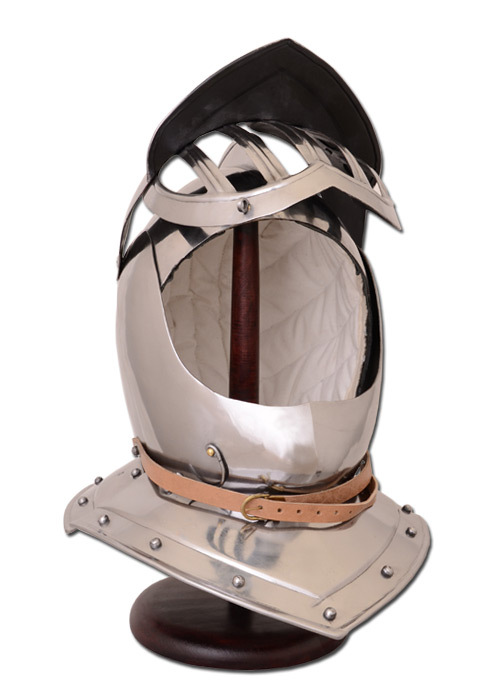 The helmet is auzsgekleidet from the inside with a soft cloth upholstery.